One of the other essential aspects of taking care of your home is finding the right experts to address your need for Fayetteville gutter and drainage systems. This is one of the most important systems for your home because it helps direct moisture and other problems away from the home. Leaves, twigs and other organic debris can build up in your gutters causing them to overflow; this can lead to problems with your home such as mildew, mold and rot. So it is important to be sure that your drainage system remains unobstructed and flowing free through the gutters, down the spouts and away from your home – especially the foundation. Let us meet with you and show you all that we have to offer, in order to help protect this system for your home. You can rest assured that we will provide you with only the best in high quality results so give us a call today so that we can get started. It is important to work with our team of pros in order to get the quality work that you need, when you need it the most. There are a lot of factors that go into determining how often you should have your gutters cleaned, such as where you live and how many trees are on your property, directly above your roof and gutters. Ideally, you should have your gutters cleaned in the late fall and spring, but if you have a great deal of foliage you may need it more often than that. Working with a professional is the best way to determine how often you need to have this type of work done to keep your system up and running. What people often fail to realize is that they also need the downspouts cleaned as well; this often gets overlooked and ends up causing major blockages. The key is to realize that trying to take care of this yourself is a dangerous job that probably will not leave you with the results that you had hoped. So it always makes sense to work with a professional to take care of the job for you. Don’t put off getting this taken care of when we can be there for you today to get started. For the best in Fayetteville gutter and drainage systems work, you can count on us. 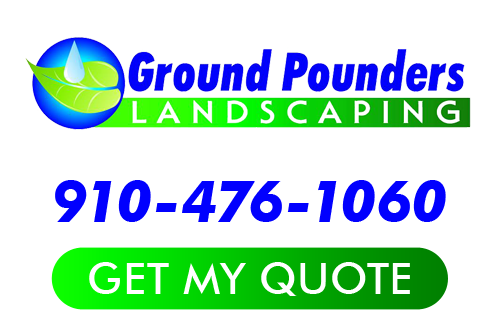 At our Fayetteville landscaping company we take great pride in the work that we do and it shows in the results that we get. Give us a call today in order to get started. If you are looking for a Fayetteville Drainage Systems expert then please call 910-476-1060 or complete our online request form.